When you’re looking for a new AC, you may ask yourself if it’s a good idea to shell out more money for a famous brand when you can get an AC with the same features for a more affordable price. Researching all of the different AC brands can be overwhelming too. Need to hire an AC expert? Usually, the AC you buy is a compromise between price and quality. 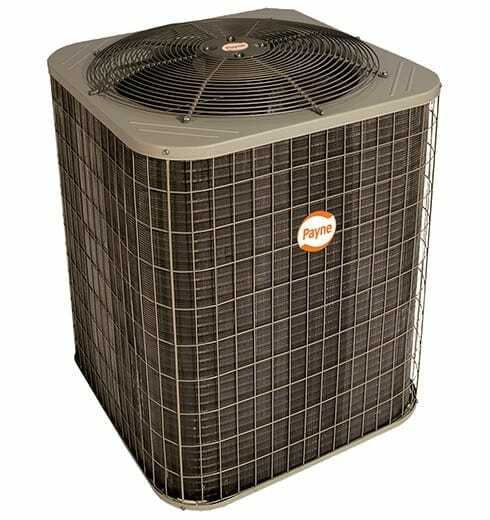 But with ACs from Payne, you’re getting high quality and durable ACs at an affordable price. Payne ACs are both affordable and high quality. In addition, Payne is one of the brands manufactured by United Technologies, a famous and well-established air conditioner company that also makes Bryant and Carrier. Payne is a value brand, meaning it offers fewer features than high-end models from Carrier and Bryant. However, the cost of each unit is reasonable and provides great value, since the internal components are almost identical to those of Carrier. Payne ACs are efficient and consume less electricity to cool the house, saving you money in the long term. This is achieved by completely sealing the compressor to prevent contamination while also ensuring that the unit lasts longer. The unit also protects against voltage and current issues, which improves the overall dependability of the air conditioner. Most Payne customers are happy with the sound levels of their ACs during operation. The ACs are engineered to suppress noise by using a compressor cover made of high-density foam that dampens sound. In addition, the AC is specially designed for sound-control purposes including vibration isolation to ensure that the unit operates without much noise. Payne units allow for both horizontal and downflow applications and can be converted from downflow to flat, including the covers on the horizontal duct. This functionality is offered in order to ensure that you can optimize the comfort of the occupants of your house and still have an efficient airflow. Payne offers a 10-year, nontransferable limited warranty with all air conditioning units. But this is not as long the lifetime warranty offered by some competitors. The original homeowner must register the product within 90 days of installation to receive the full 10-year coverage. If a unit is not registered within 90 days, the warranty period is 5 years from the date of installation. Because Payne only offers value models, it does not have advanced features like those offered by Carrier or Bryant. Those bells and whistles come with a premium, so be prepared to pay a lot more if you want Wi-Fi-enabled AC units or similar features. 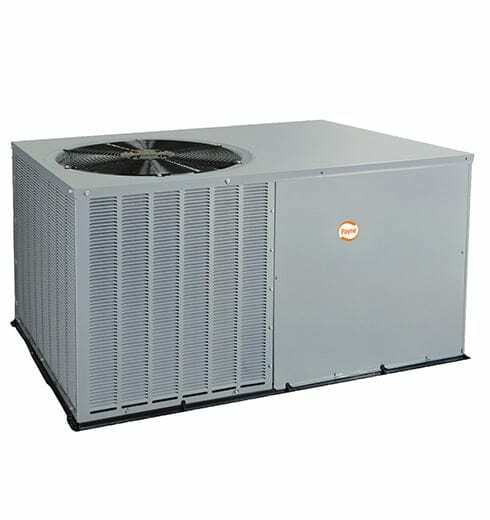 Payne offers air conditioners reaching up to 17 SEER and heat pumps from 13 to 16 SEER. The company continues to make high efficiency its priority with the introduction of new products that reach Energy Star ratings. Payne currently offers two models of central and package air conditioning units -- although they previously offered 10 and 12 SEER alternatives. For the most energy-efficient option, consumers may want to consider the PA16NA for the only Energy Star qualified model in Payne's product line. All models use the EPA-approved R-410A refrigerant for improved performance and its ozone-friendly components. 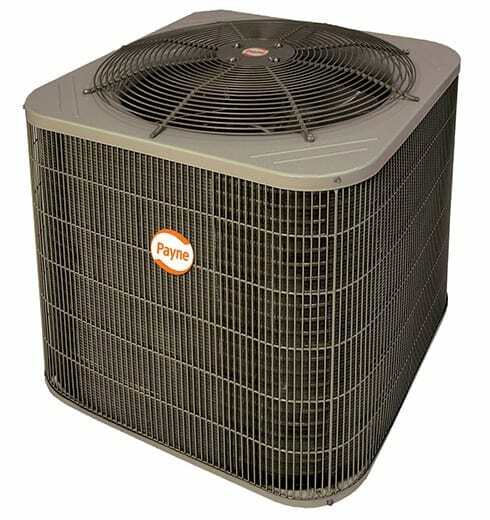 The PA13NA is among the most affordable AC models offered by Payne. The unique features include a 13 SEER energy efficiency level, single-stage cooling, and a communication system. The fact that the model is Energy Star rated is an assurance that the design is genuine, and its performance is as advertised. The PA13NA uses noise-absorbing isolation pads and specially-designed fan blades for quiet operation. The unit is equipped with a standard grill for coil protection with the option of a more dense grill. Similar to the PA16NA, this model features minimal maintenance, built-in compressor protection, and a durable paint finish. Also, the cabinet is made of heavy-gauge galvanized steel to protect the coil and other components. This model, like all other Payne units, uses environmentally friendly and safe R-410A refrigerant. With a Seasonal Energy Efficiency Ratio (SEER) of 16, the PA16NA is Payne's most energy-efficient cooling system. This model comes standard with a dense grill for greater protection of the unit's outside coil. The PA16NA also features a compressor with built-in protective features for quiet and reliable operation. This Energy Star-approved model is low-maintenance and has a durable, corrosion-resistant paint finish. This model, like all other Payne units, uses environmentally friendly and safe R-410A refrigerant. The PA3H is Payne's most versatile cooling unit and can be installed as either a ground and rooftop air conditioning unit. Its SEER rating is 13. The unit offers great durability against severe weather with a rust-free composite base and metal base rails for added stability and ease of maintenance. The PA3H has an insulated cabinet for quiet operation and an optional electric heat accessory package. 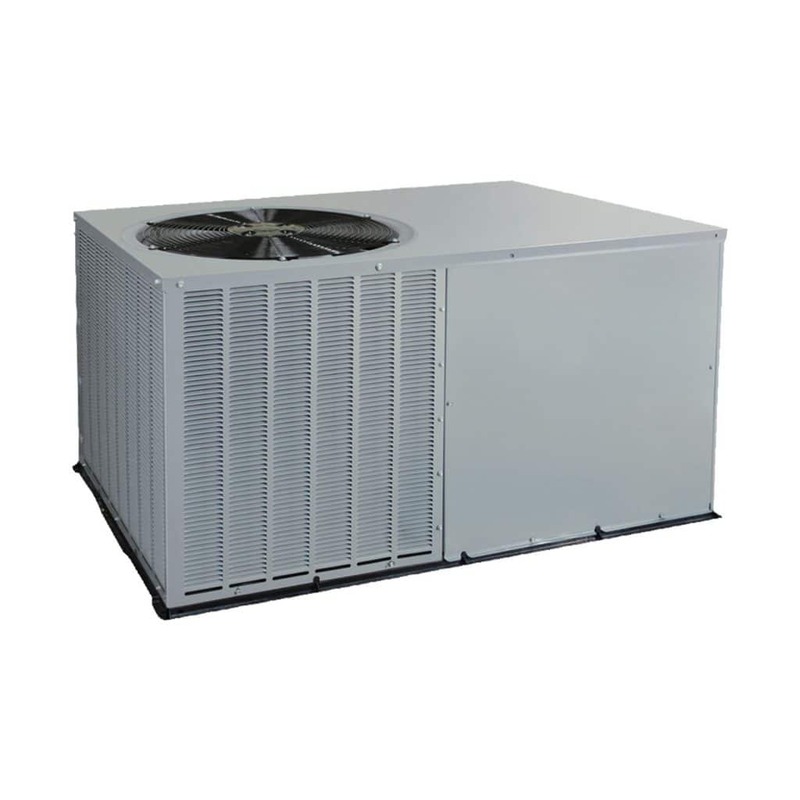 The PA3Z is an economical and energy-efficient packaged air cooling system with a SEER rating of 13. It has a durable, rust-free foundation and body with a 32" narrow cabinet design, ideal for small properties and zero-lot-line installations. Aerodynamic fan blades reduce the overall sound to as low as 77dB. The paint treatment on the cabinet ensures protection against the elements. A compact, low-profile design utilizes a louvered coil enclosure for protection against vandalism and hail damage. Unlike some other manufacturers, Payne does not advertise its prices on its website, so you need to get quotes for different models from their distributors near you. Use our handy tips to score a good deal on your Payne air conditioner. But remember that more important than selecting a model is selecting the right installer so that your unit works as intended and lasts for a longer period. An easy way to save money on the AC is to buy in the winter when demand for air conditioners is lowest. Many retailers have excess stock in their inventory during the off-season so they encourage sales by offering discounts. Similarly, you can wait until fall or spring to install the new system and ask for an off-season discount from contractors. Fall and spring are off-seasons for most installers as the weather is milder. 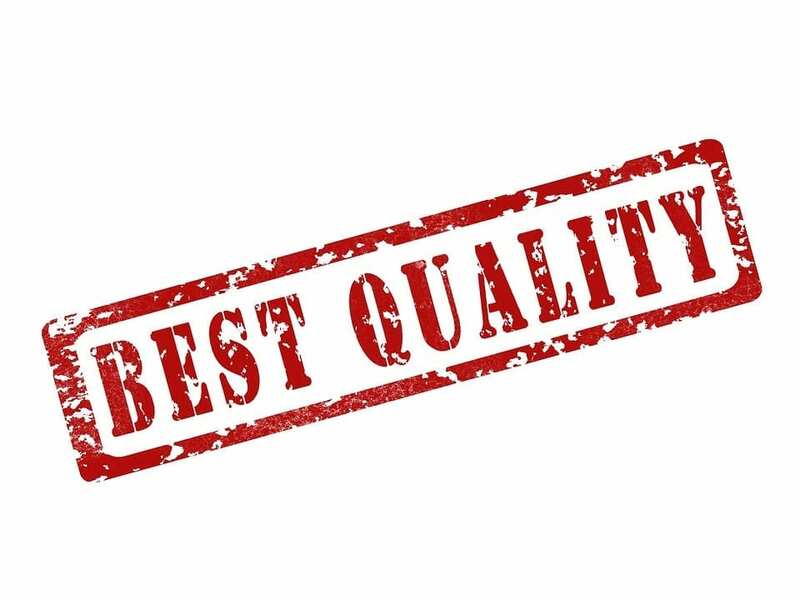 Look at online reviews when selecting a dealer and make sure they are properly qualified to install the AC unit. Often, you may find installers offering lower rates, but they may end up doing a shoddy job due to a lack of training and awareness. This will cost you much more in the long run. Never cut corners when it comes to installation. 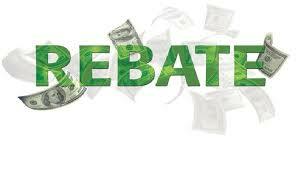 Another way to save money is rebates. Check online to see if there are any offers, rebates or incentives being given by your state or local utility for replacing an outdated HVAC system with a newer, more efficient one. You should also check with the Payne dealership to see if they offer any rebates. If you’re lucky, you may be able to score a triple discount with the manufacturer, the state and the local utility giving you rebates. Ask for at least 3 bids from various installers before you make the decision and ask them to factor any applicable tax rebates and state incentives on efficient appliances into the bid. Since it may require a few days or weeks of waiting to get a quote, start getting quotes well in advance of when you expect to get the new system. Payne Heating & Cooling was started in 1914 by D.W. Payne and his son. They started building gravity-type furnaces in a converted barn in Los Angeles. In 1933, Payne introduced the first forced-air, down-discharge furnace. The company also was the first to market a forced-air furnace approved for closet installation. In 1950, Payne pioneered perimeter and zone heating. During the 1950’s the company also expanded its product offering with the addition of a remote air conditioning product line. In 1962, Payne unveiled the first horizontal forced-air furnace approved for outdoor installation as well as vertical combination heating and cooling units for school rooms, apartments, and other applications. In 1955, Carrier merged with Affiliated Gas Equipment, Inc., which owned the Bryant Heater Co., Day & Night Water Heater Co., and Payne Furnace & Supply Co, forming the BDP Company in 1974. Payne became the "P" in BDP. During the 1980’s Payne improved its product efficiencies and began to expand from its strength in the West and Southwest into the Midwest and Northeast. This expansion continued into the 1990’s when Payne expanded into the Southeast states. Payne separated from BDP in 1996 to form Payne Heating & Cooling and is now owned by United Technologies Corporation, which acquired Carrier in 1979. If you’re looking for an AC that is dependable and durable but without the premium price tag of Carrier then Payne is a fine choice. Like most value models, a Payne AC won’t come with all the bells and whistles you’d expect from a high-end model, but the build quality and solid construction of this brand mean it will operate for many years and give trouble free service. For many buyers, that’s all they desire.